PTI designated PM, Imran Khan will reside at the Punjab House chief minister annexe after taking oath as the prime minister. Speaking to the media in the federal capital, Haque said he had visited the Punjab House chief minister annexe at Imran’s behest. “Imran will reside at the annexe during the week and go to his personal residence over the weekends,” he said. In his first speech after PTI stood victorious in the July 25 polls, Imran had said he was likely to turn the Prime Minister House into an educational institute. “Our government will decide what we will do with the PM House. We want to turn it into an educational or public institution,” he had said. The PTI chief had also promised to convert governor houses into public spaces which would collect revenue. Commenting on the major opposition parties that are protesting in the federal capital, Haque said the PTI-led government was ready to cooperate if the protestors wanted to resolve the matter. 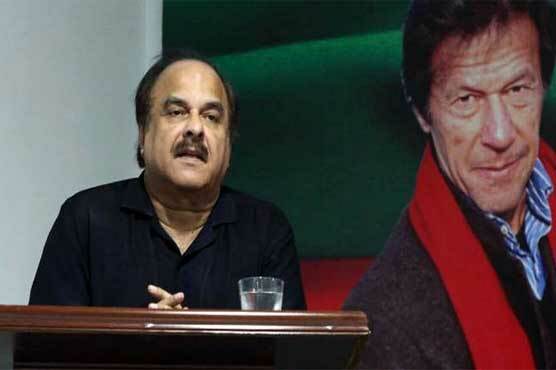 The PTI spokesperson also discussed poll results of the NA-131 Lahore 9 constituency. Pakistan Muslim League-Nawaz (PML-N) leader Khawaja Saad Rafique—who lost the election to Imran from NA-131—had challenged the returning officer’s decision to not open the entire constituency in the Lahore High Court (LHC). After the LHC had ruled in Rafique’s favour, the Supreme Court suspended the former’s verdict and ordered re-tabulation to be halted.